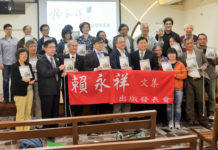 To raise charity money for the church’s engagement in reconstruction and rehabilitation projects after devastating natural disasters occurred in our country or around the globe, Taiwan Church Press(set up as the first newspaper in Taiwan history since 1884) and I-Mei Foods(dubbed as the last fortress of Taiwanese consciousness) worked together to sell the traditional Taiwanese Christmas cake for celebrating Christmas in Taiwan society. In the afternoon on November 8, a press conference to announce the joint charity project is held at the General Assembly Office of PCT. 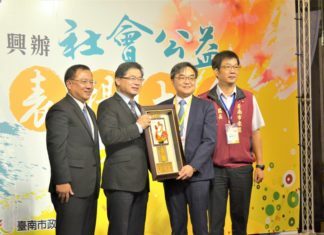 To witness this good-will charity for Taiwan society and beyond, many guests are invited including Mr Chen Chong-yan(Political Deputy Minister of The Ministry of the Interior), Rev Lyim Hong-tiong(General Secretary of PCT), Director Hsu Wen-sen(Changhua Christian Hospital Management Board), Rev Lin Hse-chieh(Director of PCT Church and Society Committee), Rev Lin Wei-lien (Secretary of PCT Church and Society Committee) and Rev Fang Lan-ting(President of Taiwan Church Press). 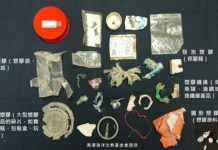 Mr Chen Chong-yan expresses his deep appreciation to PCT’s strenuous commitment to first aid response whenever there are catastrophic disasters happened in Taiwan society in the past decades. 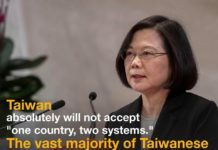 Especially when Taiwan society and her natural environments are exposed to more and more extreme climate challenges, the prompt and efficient cooperation between PCT and the public sectors has been gradually accepted and recognized as an outstanding model of social support within Taiwan society, Mr Chen says. Rev Lyim Hong-tiong remarks that PCT, as a loyal and responsible member of the ecumenical ACT Alliance, the long-term charity actions are witnessed in PCT’s ministries of caring the oppressed aboriginal society, engaging in the first-aid relief of catastrophic events. 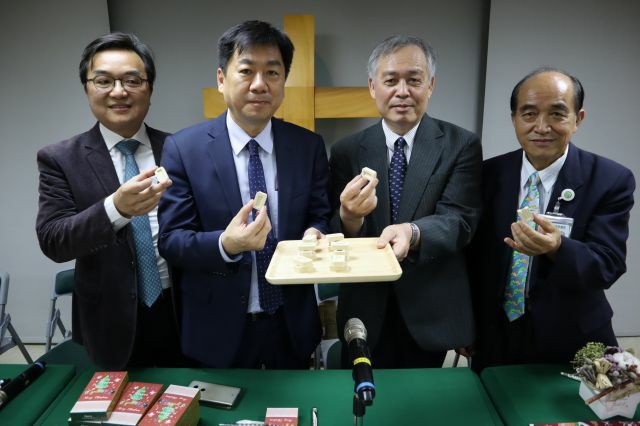 Therefore, a joint cooperation between Taiwan Church Press and I-Mei Foods to proclaim the good news of Jesus via Christmas cake would be a multiple-win ministry to witness God’s love and compassion for Taiwan society, Rev Lyim says.